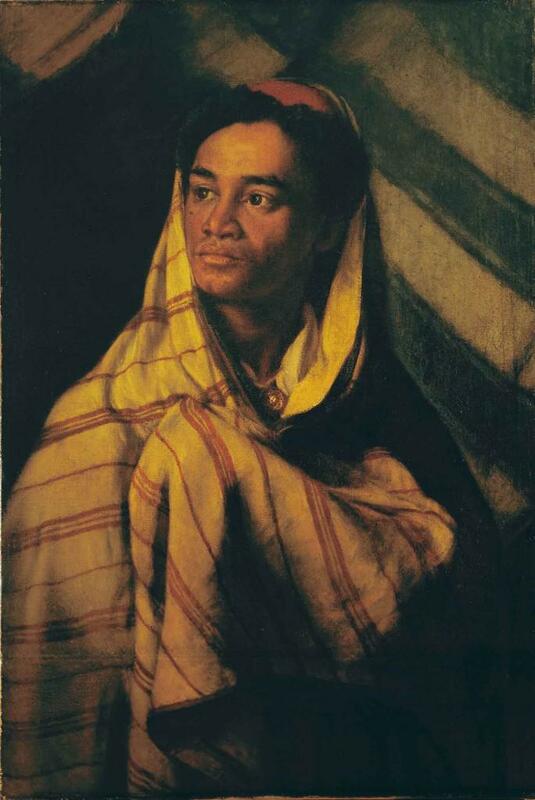 October is Black History Month, and today’s image is one of the three surviving portraits of black men by Thomas Stuart Smith, artist and founder of the Smith Art Gallery and Museum. The Fellah from Kinneh, or Qena, north of Luxor on the Nile delta was a native Egyptian who probably was painted on a visit to Britain. His blanket has been identified as being of Moroccan design, and may have been a studio prop like the tent behind him. The work is very unusual in that it was painted life size. The artist entered it for the Royal Academy exhibition in London in 1869, where it was hung in an unfavourable position. Smith’s other entry for the exhibition, his ‘Pipe of Freedom’ celebrating the abolition of slavery was rejected outright, on political grounds. Painting Black men and men of colour on such a scale was not socially acceptable to galleries at that time. Smith was radical in his outlook and attitudes, and these three internationally important paintings were part of his bequest to Stirling. The paintings have been loaned to both Manchester and Birmingham Art Galleries in the past, and yesterday, they were one of the reasons for BBC Four’s Quizeum programme visit to the Stirling Smith.